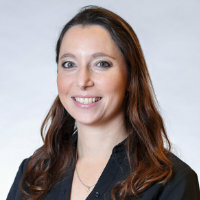 Moran Yarchi Ph.D. is a Senior Lecturer at the Sammy Ofer School of Communications, and the Head of the Public Diplomacy program, at the Interdisciplinary Center (IDC) Herzliya, Israel. Her main fields of research are political communication, public diplomacy, media coverage of conflicts and terrorism, and election campaigns on social media. Integrating theories from communication studies, political science and international relations, Moran’s studies investigates the ability of political actors to promote their messages' thru the media. Moran’s studies had granted her with various awards and scholarships including the: Nina Wain's Prize for public and international communication for 2012, the Inbar fund scholarship for 2013, the Hecht Prize for 2012-3, The ICA’s annual conference Mass Communication Division's top paper award 2014, and the NCA’s annual conference Mass Communication Division's top paper award 2015.